Mystery Lane as The Eltones! Saturday, June 1 at 7 p.m. 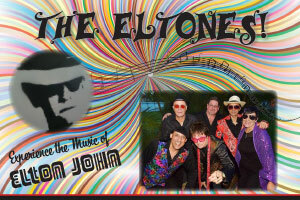 Experience the music of Elton John as performed by one of Florida's premier musical groups, Mystery Lane. The show is a full band tribute to one of the foremost artists of our time. It's filled with the music you love ... and a few surprises along the way! Presented by Coral Shores Behavioral Health.